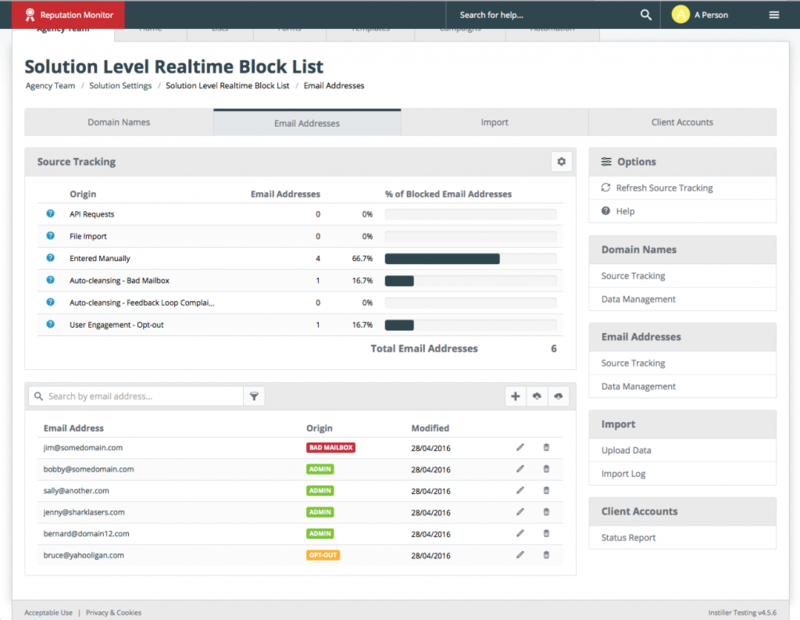 In our latest update the main areas we’ve focused on are making it easier to design and share Email Templates and we’ve also created a new Realtime Block List feature, plus there’s quite a few smaller tweaks included too! Here’s summary of what’s included in the update and click through to view the help pages where there’s more detailed help. Also take a look at the related screens where you’ll find handy info panels, hover tips and links to help articles. Until now, the only way a Template could be editable using the drag & drop Email Designer was to either create from scratch using the wireframes option or markup HTML source and then upload. 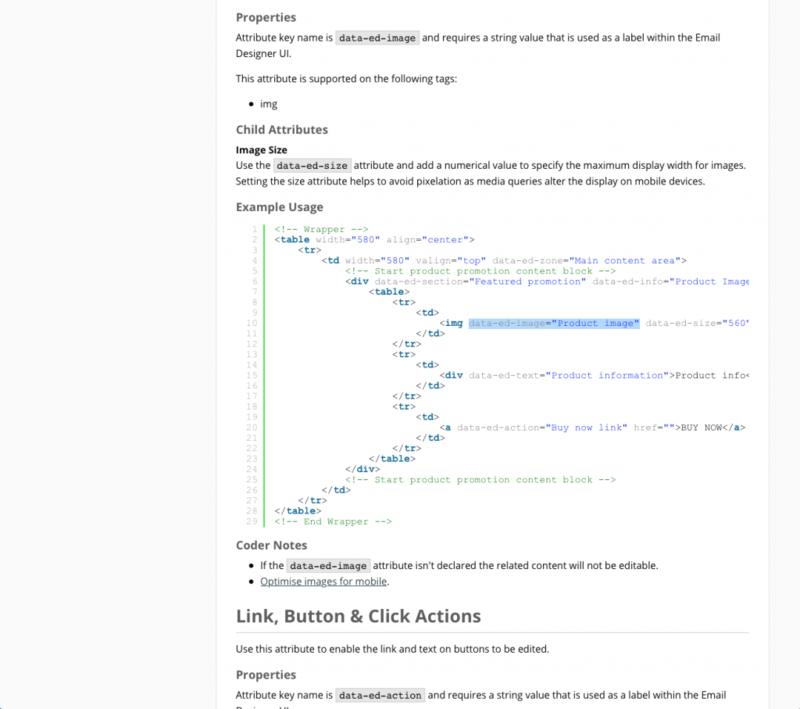 Templates created from wireframes retain markup when downloaded. When uploaded again it means they can still be edited using the Email Designer. 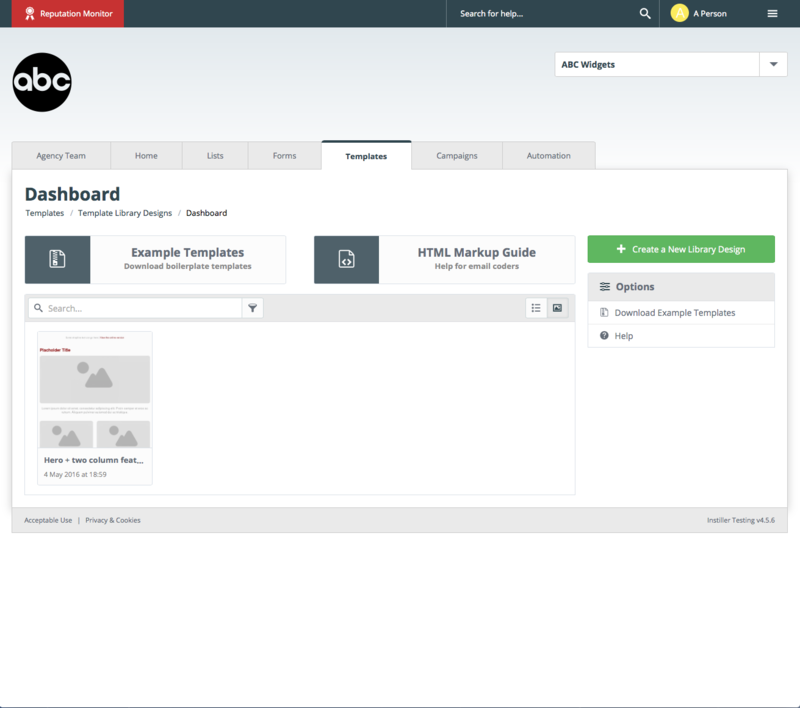 Templates containing compatible markup can be shared to one or more Client Accounts. For Templates, being designed offline or uploaded using the API, where protection against editing is required can now being easily created through setting simple edit permission attributes on text or image content. Click on the thumbnails below to larger screenshots and also take a look a look at the related help pages that contain more info about what this feature set can do. 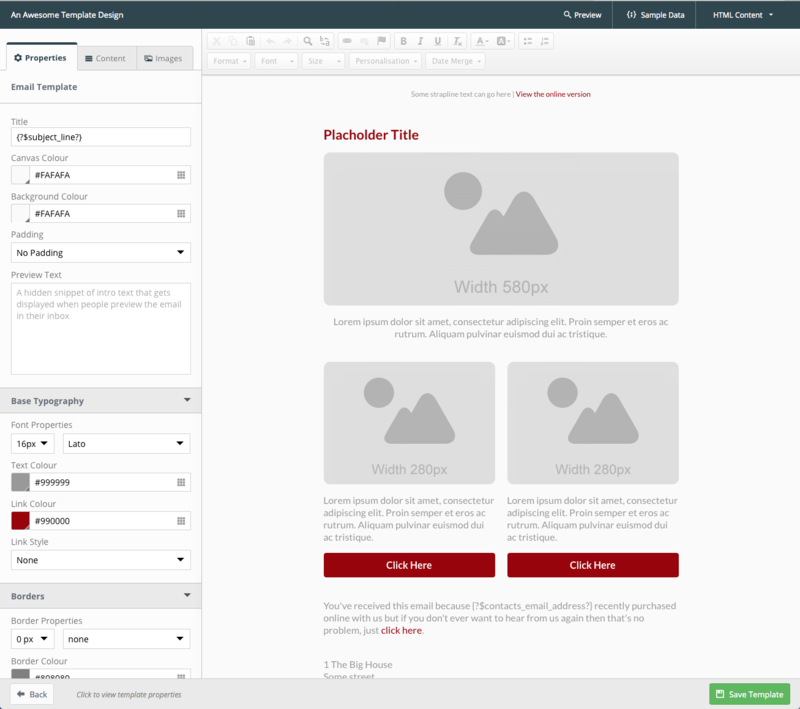 Download source files and retain all the markup required for making the design compatible with the Email Designer. This allows you to uploaded into a different Client Account an simply change the branding and content. 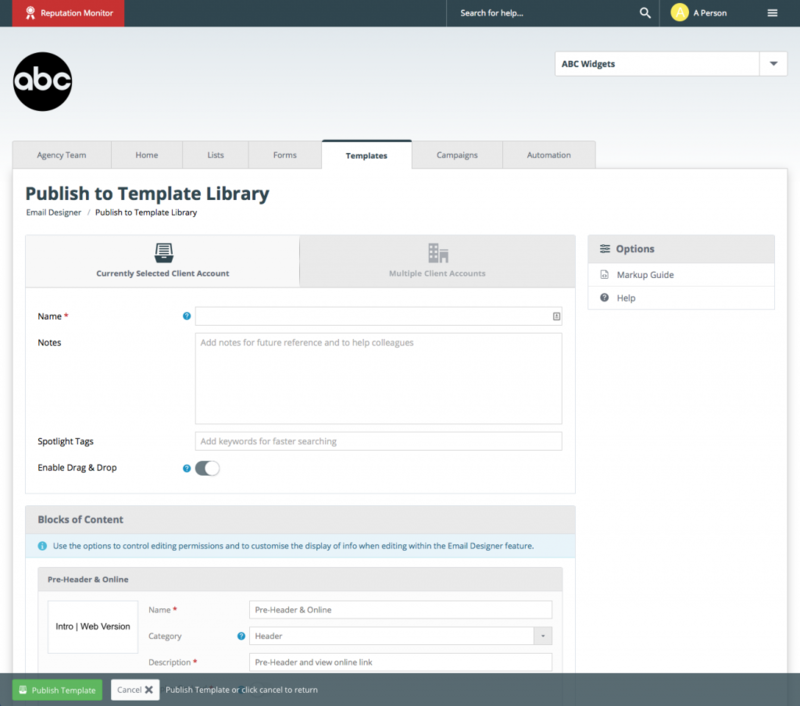 Share Templates created using the Email Designer to one or more Client Accounts by publishing as a Template Library Design. 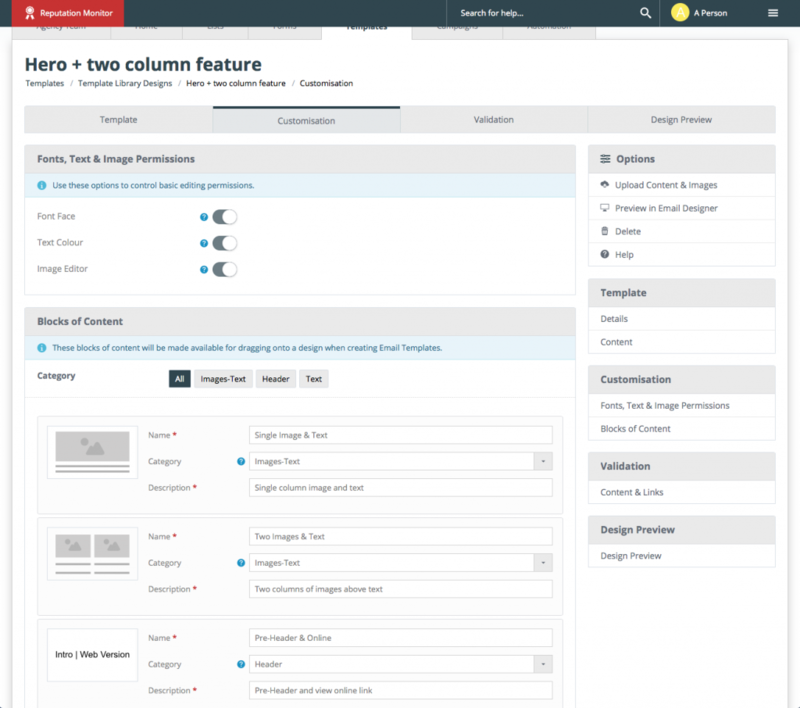 Organise blocks of content that can be dragged & dropped from the sidebar and add descriptions and notes to make it easier for the user to understand what each block is intended for. Setting hidden preview text that shows within the inbox. Google Fonts support with new designs defaulting to Lato. Blogger and WordPress follow icons added. Preview now supports the Workflow Session Variables. 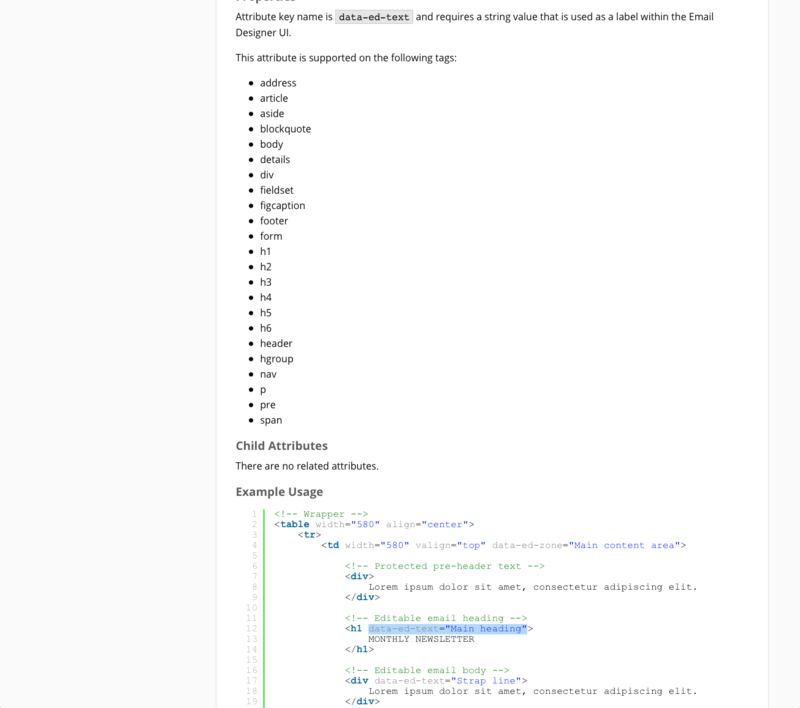 Workflow Session Variables can now be used to set links, images and text content. Conditional content can use Workflow Session Data in visibility rules. General email rendering improvements to improve display within the inbox. Downloading Templates is now a zip file containing HTML, Text-only alternative and all image assets. Stopping requests or emails being sent on specified domain names or email addresses is a really useful feature that can help to protect your reputation and reduce complaints. 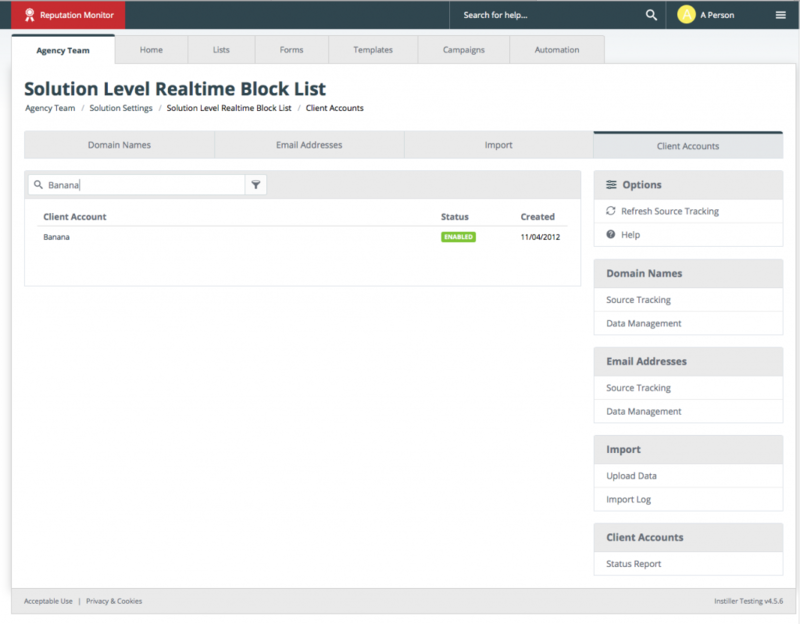 Blocks can be added at the solution level or set at individual Client Account level and there’s also a setting to control whether the solution level setting gets applied to a Client Account. (Default setting is ‘on’). 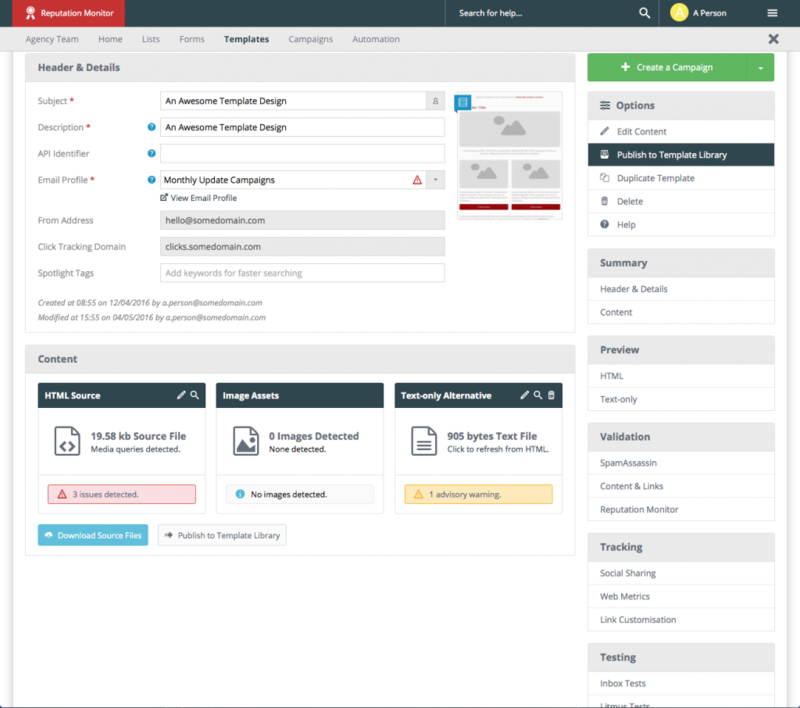 Turn on automated feeds to populate through auto-cleansing for opt-outs, bad mailboxes and FBL complaints. 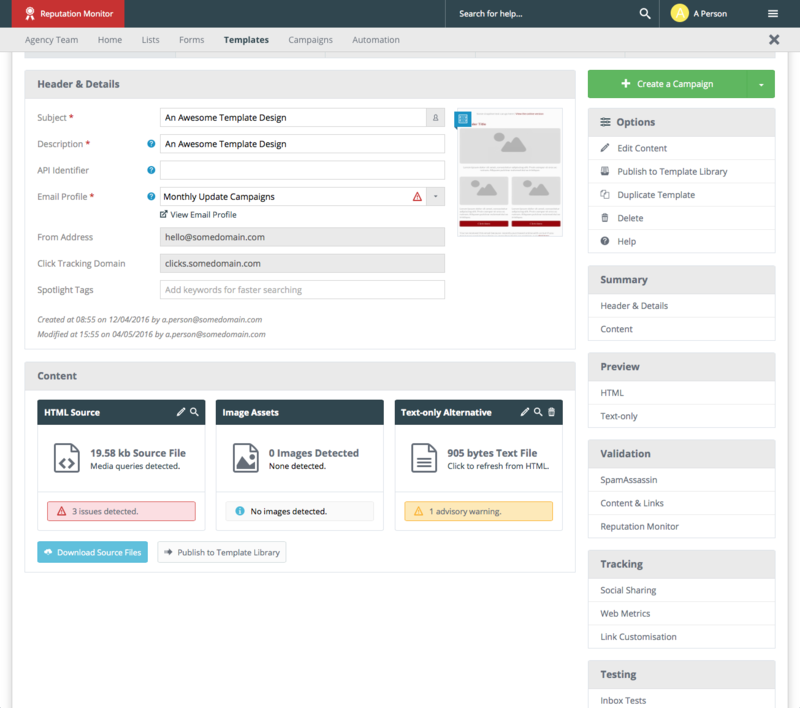 Control the use of bad domains, serial complainants, bad email address, spam traps and any other not-required or toxic data. Track the source and reporting on how domain names and email addresses are being added to the Realtime Block List. Add individual records manually or upload CSV files through the UI. 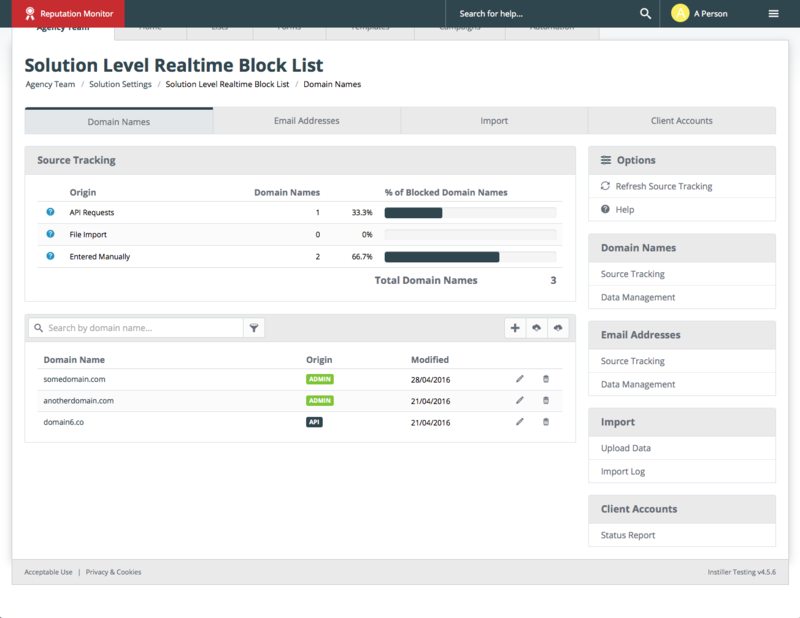 Use the available API endpoints to automated population of and reporting on the Realtime Block List. To access the Solution Level Block List go to ‘Solution Settings’ then click on ‘Solution Level Block List’. 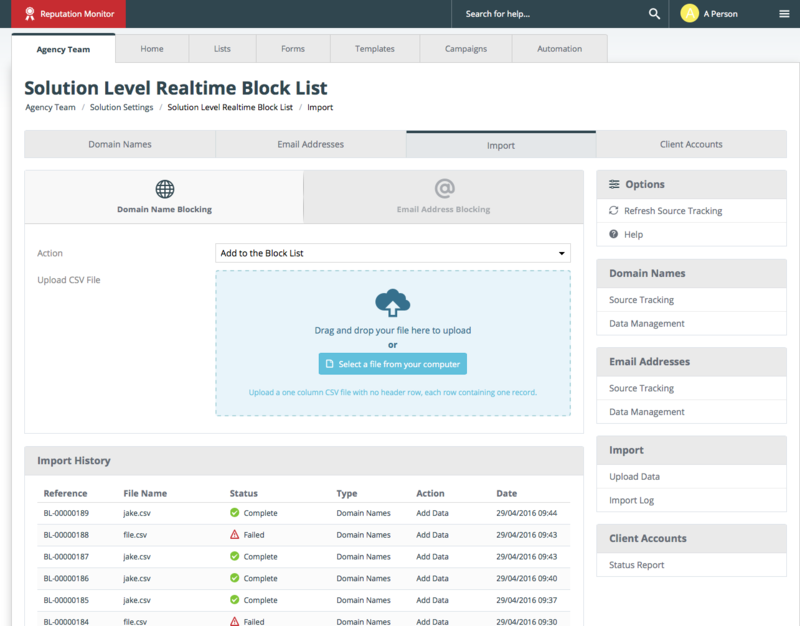 To access the Realtime Block List for an individual Client Account go to the Lists tab and click on Realtime Block List in the sidebar. Start Point on Workflows can be set to update the ‘Last Modified’ date so Users appear at the top of the ‘Recently Updated Users’ feed on the Lists tab. Priority order for Decision Point outcomes can now be reordered from within the sidebar to save having to delete and recreate. If you would like any more information about anything included in this update then don’t hesitate to contact us by emailing help@instiller.co.uk.